You probably know it by looking out the window or by how high the heat is cranked in your house, but we’ll say it anyway: It’s a cold one out there, Calgary. That extreme cold warning is back for YYC, according to Environment Canada, along with 24 of Alberta’s 34 other regions. 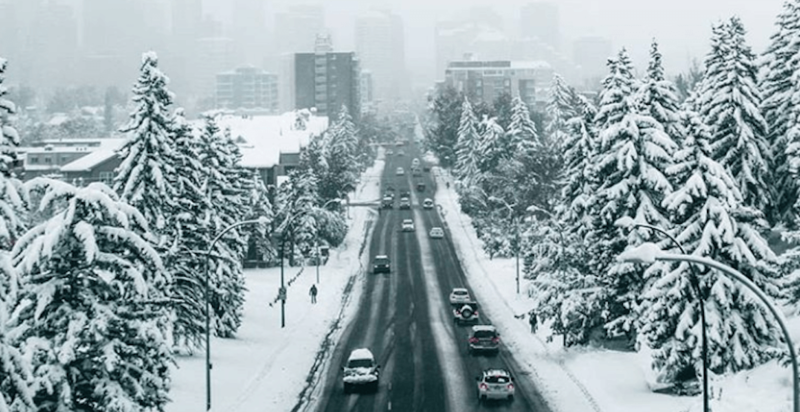 The warning was reissued at 4:37 am Monday morning, warning that the slight bit of warmth not so cold Calgarians experienced on Sunday night was merely a brief respite from winter’s icy grip. “An area of cloud and light snow brought a moderation in temperatures for many areas last night. However, extreme cold conditions are expected this morning in sky clear areas ahead of and behind this weather system,” states the warning. With windchill, it’s expected to feel closer to -40°C than the -24°C that is actually is, which is still, honestly, way too cold. 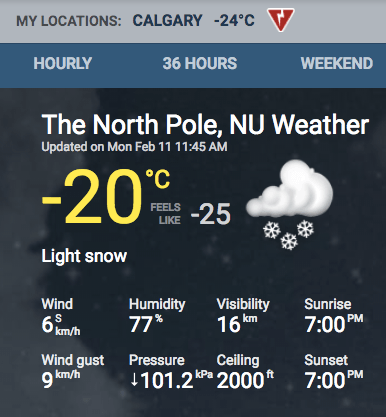 The Weather Network even shows that the city of Calgary, Alberta is 4°C colder than the temperature is right now at the North-freaking-Pole — so it might be time to start growing out a beard that even Santa Claus would be jealous of to help you stay warm this winter. There are a few places on Earth that are colder than Calgary is right now (thankfully) including the South Pole, which is sitting at a -31°C. As always, anyone living surviving within a region that has fallen under an extreme cold warning is encouraged to stay safe by not spending prolonged time outdoors, to cover up, and to be aware of signs of hypothermia and frostbite in themselves and those around them. The Environment Canada seven-day weather forecast doesn’t show the cold letting up any time soon, but we’ve got our fingers crossed for an unexpected Chinook to bring a bit of warmth back into this city.